Current outcome measures do not adequately address the esthetic aspect of the surgical outcome of anterior blepharotomy for Graves’ ophthalmopathy. This study aims to highlight the role of tarsal platform show (TPS) in optimizing the esthetic outcome of graded full-thickness anterior blepharotomy for dysthyroid upper eyelid retraction in an ethnic Chinese population. 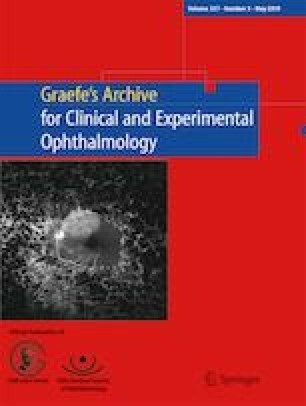 The records of patients with Graves’ ophthalmopathy who underwent anterior blepharotomy for upper eyelid retraction over a period of 30 months were retrospectively reviewed. Fifty-five patients (77 eyelids) with upper eyelid retraction underwent anterior blepharotomy. A statistically significant decrease in marginal reflex distance (MRD1) and lagophthalmos and significant increase in TPS following anterior blepharotomy was observed. A significantly higher proportion of patients who underwent unilateral anterior blepharotomy had TPS asymmetry post-operatively as compared to the bilateral group (p < 0.001). Using logistic regression, the study found that for every 1-mm change in MRD1, there was approximately a 1.045-mm change in TPS. The mean percentage increase in TPS observed in our study was 303.1 ± 191% due to the low pre-operative TPS seen in Asian patients. To achieve the most ideal surgical outcome in graded full-thickness anterior blepharotomy, the surgeon will need to consider not only eyelid height but also the subsequent TPS change. The surgeon needs to be mindful of the relationship between MRD1 change and TPS change to optimize esthetic outcome as well as symmetry. Special considerations need to be taken in unilateral cases as well as patients with low pre-operative TPS. Jason Kian Seng Lee and Janet Mei-Xue Loi contributed equally to this article and are both co-first authors. Shu-Lang Liao and Yi-Hsuan Wei contributed equally to this article as corresponding authors. The authors have no financial or proprietary interest in any materials or methods mentioned in this article.